Although it was a gloomy type of day, Megan and Tom’s Rocky Mountain National Park engagement photos were just as spectacular as if the sun came out to join us. 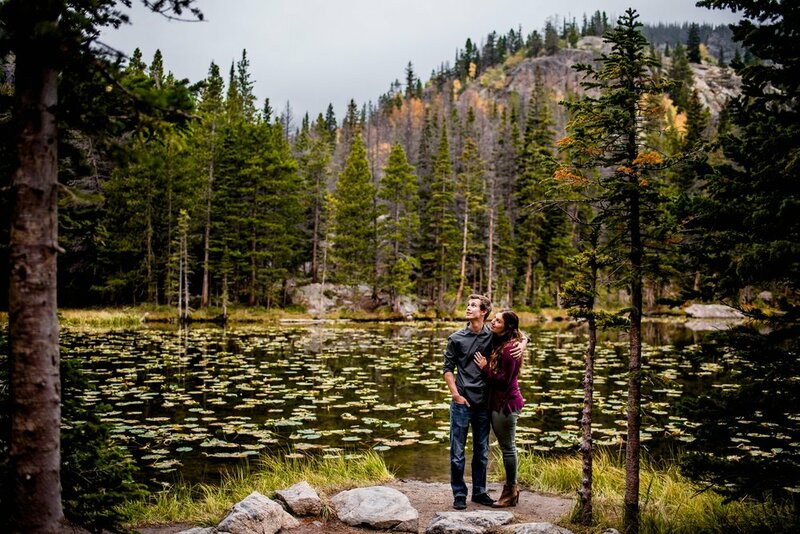 To start Rocky Mountain National Park engagement photos are certain to have scenic, lush, breathtaking backdrops because RMNP is one of the most beautiful spots on this planet! As a Colorado native I may be a tiny bit biased, but I won’t change my stance! The setting aside I have many other reasons to love this session! Megan and Tom are the sweetest couple and it was a real joy getting to know them along the Bear Lake trail during the session! The thing I want to emphasize in this post and that really sticks out to me about Megan and Tom is their high level of mutual respect. From minute one of meeting these two I could tell how well they treat people and one another in their relationship. I recently attended a Diversity in Business workshop and something we touched on was the power of an image, and as image creators sending the right kind of messages through the content that we share into the world. This point really resonated with me and it will now be a conscious focus of mine to take and share images that scream respect, consent and inclusion in addition to love and laughter. 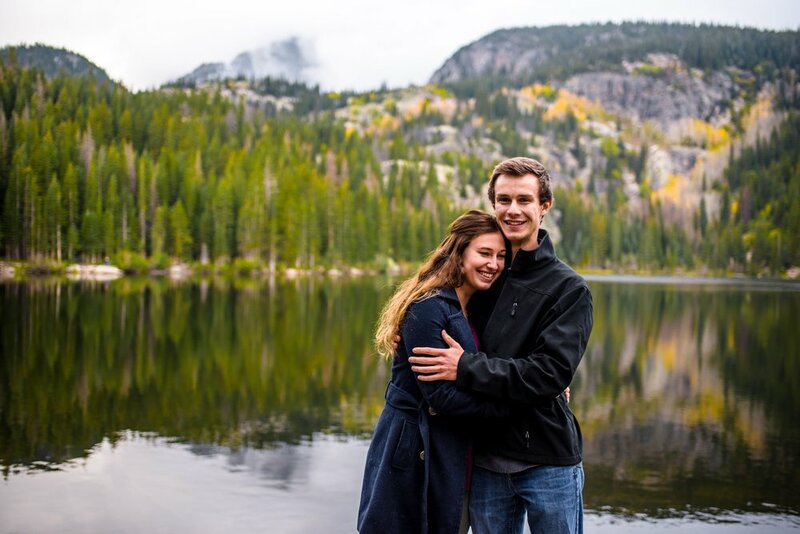 I took Megan & Tom’s Rocky Mountain National Park engagement photos a few months before I learned what I learned at the workshop and I am excited to be able to share more of their photos in this post, knowing a deeper reason why I love them so much! Needless to say, I am stoked to be working with these two again for their wedding this summer at River Garden Winery!